Cleveland, Ohio, used to be called “The Forest City” because of its semicircular diadem of parks. It was one of the few good things about the city of my birth. It is interesting that from Cleveland, I moved to Los Angeles, which not only has parks but giant mountain ranges within the county limits. In fact, at least one peak—Mount Baldy, a.k.a. Mount San Antonio—is almost two miles above sea level. 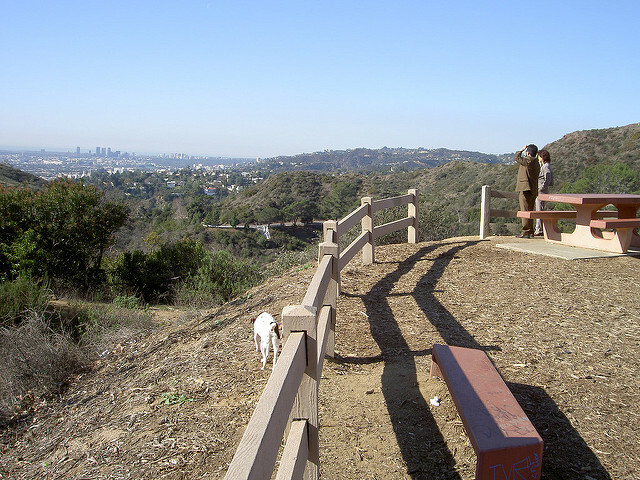 There is one rather large park right near the heart of Los Angeles: Griffith Park, with over 4,000 acres. Mount Hollywood overlooks downtown L.A., the San Fernando Valley, and southward to Palos Verdes and Long Beach. With over 10 million visitors a year, it’s not exactly uncrowded. Within its boundaries lie the Los Angeles Zoo, the Autry Museum of the American West, and the Travel Town Museum, to name just a few. There is also an equestrian center, a golf course, a famous observatory, a merry-go-round, and numerous picnic areas. Over its history, many famous films were shot in the park, beginning with D. W. Griffiths’ The Birth of a Nation in 1915. My favorite, however, was Nicholas Ray’s Rebel Without a Cause (1955) with James Dean, Natalie Wood, and Sal Mineo. The scene at the observatory is one of the most classic in the whole history of the American cinema. The nearby Bronson Caves were used in Don Siegel’s The Invasion of the Body Snatchers (1956). It was there than Dana Wynter drifted off to sleep and was irrevocably lost to the human race. Then, too, there is the famous Hollywood sign. 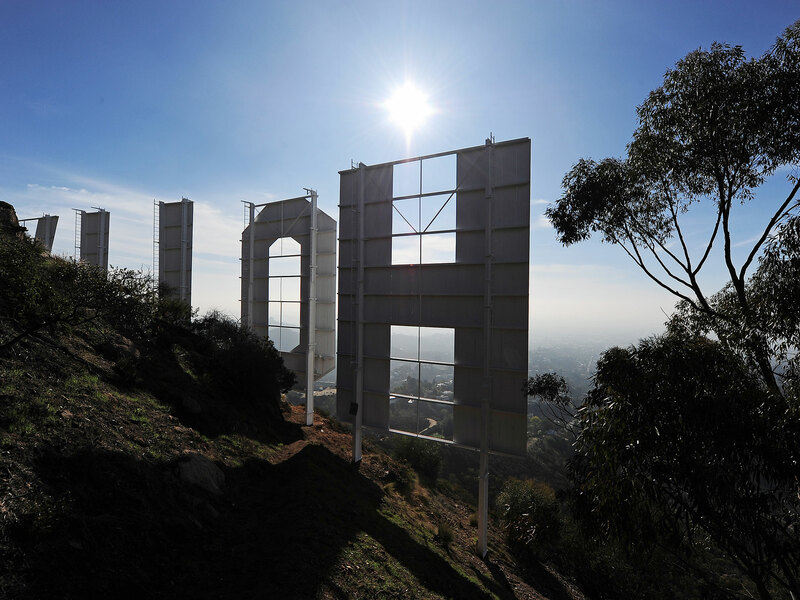 It was originally erected as a real estate promotion for a development called Hollywoodland. The “-land” was eventually dropped. See if you can find Dory Previn’s album Mary C. Brown and the Hollywood Sign. This entry was posted in southern california and tagged griffith-park, hollywood-sign. Bookmark the permalink.